Whilst I love the transition into Autumn Winter for the clothes the new season brings with it – cosy knits and over-the-knee boots, anyone? – I also get very excited about the beauty trends that pop up on the catwalks. Autumn Winter means berry shades and glitter for party season, so what’s not to love? I’ve rounded up my favourite beauty trends that appeared on the AW17 catwalks earlier this year. 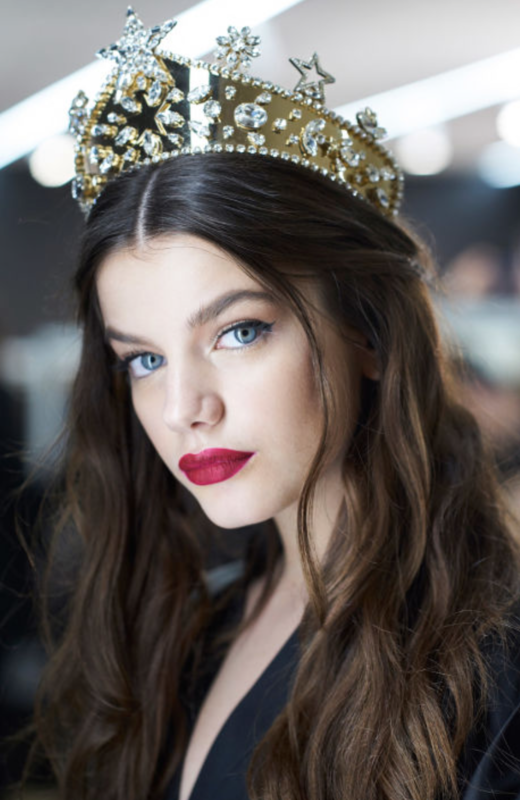 The red lip is a staple for AW, and this year it received a few updates including a faded wine gloss finish at Giambattista Valli, postbox red with smudged edges at Prada, and a matte berry finish at Dolce & Gabbana. What’s party season without a statement mani? 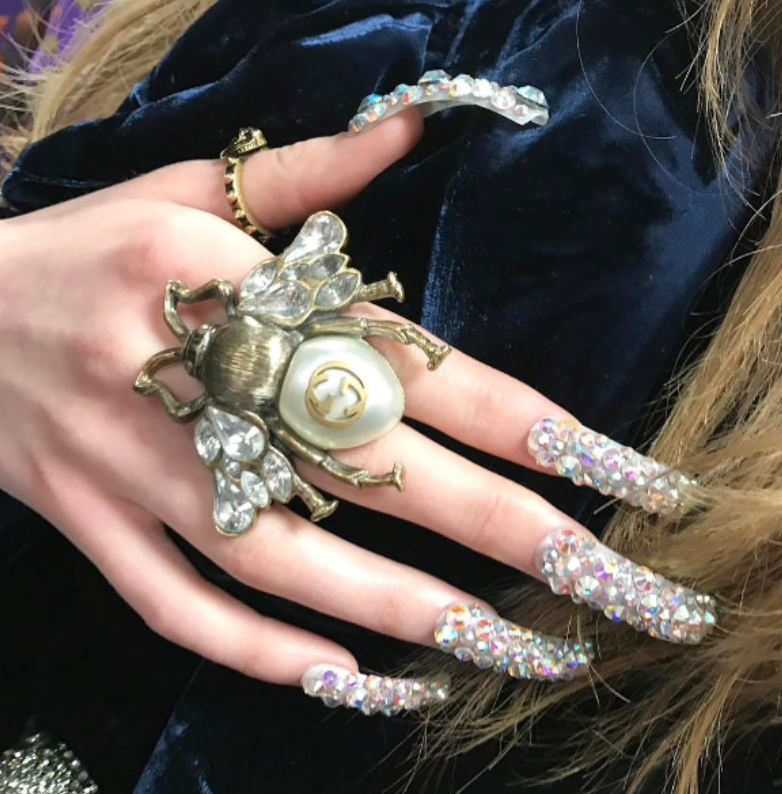 Crystals adorned the nails at Gucci, while the House of Holland models got a checkerboard manicure, and statement Bs emblazoned the nails of Balenciaga’s girls. 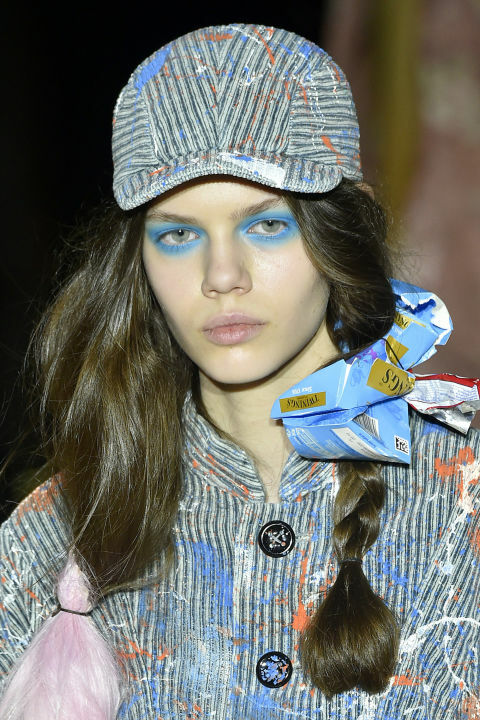 Pastels for autumn is a rarity, but was a firm trend on this year’s catwalks, with graphic pastel coloured eyes seen at Mark Fast, Mary Katrantzou, Antonio Marras and Vivienne Westwood. Hair for the new season was tousled, textured and undone. Models at Chloe wore ‘cool girl’ waves to complement the show’s 60s and 70s influences, whilst at Alexander Wang the hair was grungy and messy. 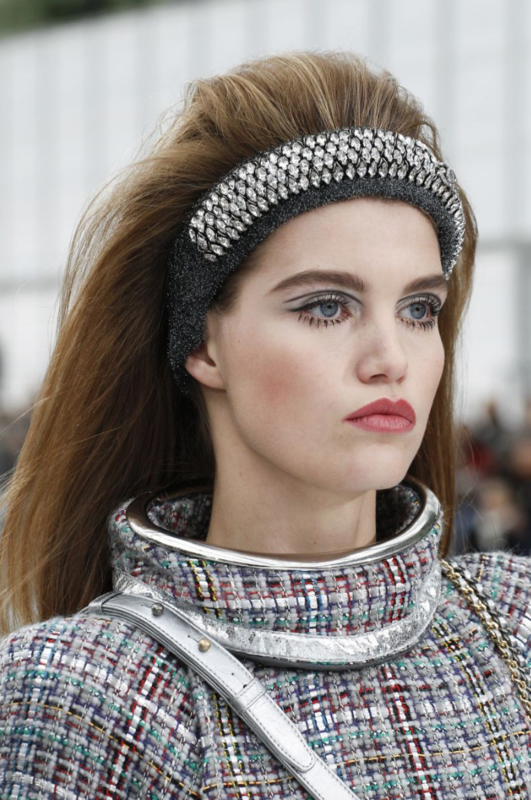 MUAs looked to Twiggy for catwalk looks at Pucci, Gareth Pugh and Chanel, with statement clumpy lashes given updates for 2017 such as neon bright mascara at Pucci and metal finishes at Chanel. 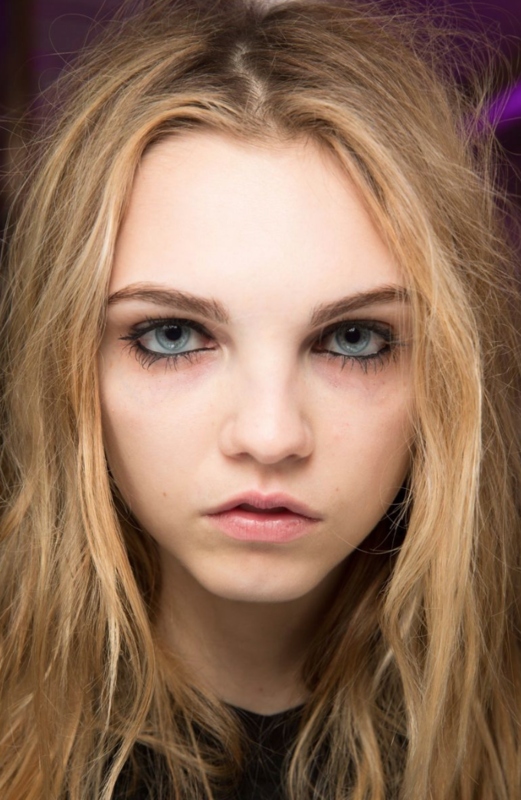 Which of the new season’s beauty trends are you looking forward to trying?